This pattern is fat quarter friendly. This quilt was created as a guild challenge. Our challenge was to make a small quilt which used at least 1 inch of the blue challenge fabric. The quilt was also to communicate the feeling of “blues”. The time of this challenge was a hard time for our family, as my son had been diagnosed with Asperger’s which is a form of autism. 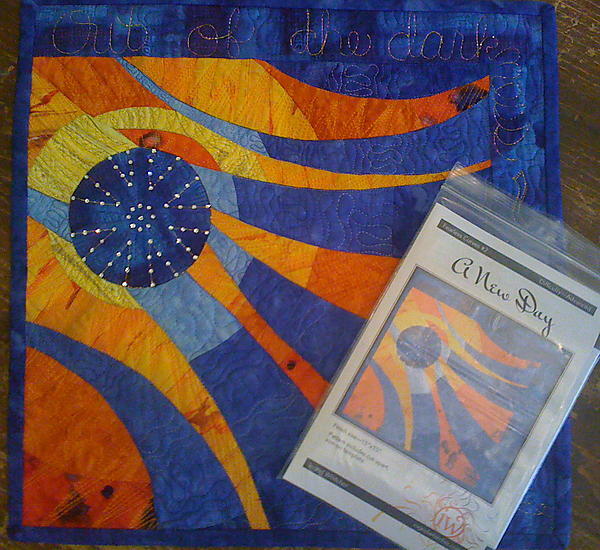 The writing in the quilting in the border is “Out of the darkness-a new day”.